The Social club has its own basketball, handball and volleyball courts, as well as access to mini golf. Lounge by the pool, relax in the sauna or indulge in a full body massage. 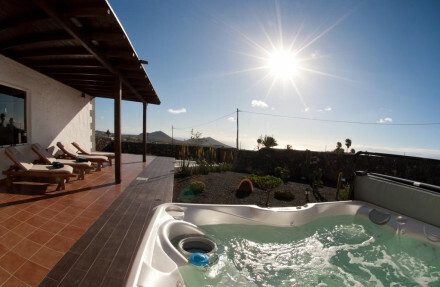 Located in Costa Teguise right in between two sandy beaches. Pets stay for free with prior warning. Take your pick from the evening bar, pool bar and beach bar- you can even watch a live culinary show. Guests enjoy access to the services and facilities at the Lanzarote Water Sports Centre on Costa Teguise beach. Bike rental and bike excursions are a fantastic way to explore the dramatic scenery of the island. Do not miss a game at one of the three floodlit tennis courts. “An Eden rests delicately along the shores of Lanzarote, its structure emanating the vibrant heritage and boundless wonder of The Canary Islands. A celestial Canary Island resort paradise, layered with flora and Lanzarotenian aesthetics, draped with meandering pools and glowing, white sand. Gran Meliá Salinas has become a symbol of such preeminence, a "Botanical Cathedral" amids the island's dramatic lunar landscape. Colorful murals, paintings, and lush, landscaped gardens garnish the premises, imparting the spirit of this enchanting island, and the vibrancy of prolific, local artists. Imbued with the ingenuity and love of the Lanzarotenian architect/artist Cesar Manrique, Gran Meliá Salinas is a celebrated hallmark of this special region. 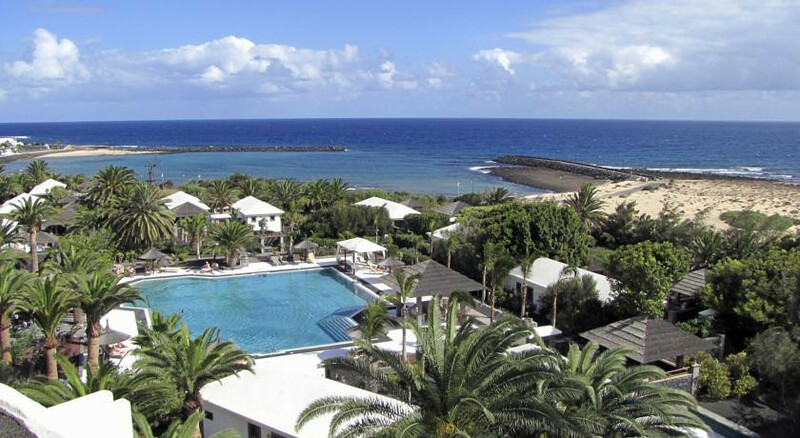 "Located in the quiet resort of Costa Teguise is this lush, verdant oasis. César Manrique designed the gardens and pool at Meliá Salinas, while the colonial-style interiors are sleek and stylish." Full of original local art.